Access control is recognized as a cost effective way of both controlling access to sensitive areas and of monitoring staff movements within a given environment. Livewire access control systems range from a single door protected by a digital code to multi-site campus style environments and encompasses everything between. The systems vary in complexity dependant on the required levels of security and monitoring. Control of the systems varies from system to system but is quick and easy to implement and maintain either via the control unit or via a PC. The advent of systems that run over an IP network have made it possible to link multiple sites and control them from one centralized location at low cost. As the systems can be installed utilizing existing network cabling, the installation costs have also reduced. The facility to view and control a system from any location when connected to the internet has made the management more flexible and removed the requirement for an on-site administrator. 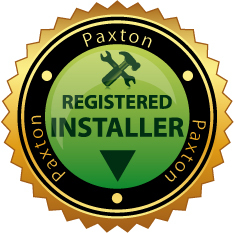 Livewire work with many different brands buy our preferred supplier for most installations is Paxton Access who are a British company who provide a great product range at a good cost and excellent backup and service. We have provided further information on the Paxton range below but please call us to discuss any requirements you may have on any brand of equipment. Livewire can also provide a host of services to run alongside any access control systems to improve any sites security, such as CCTV and intercom systems. Call the team on 020 8254 0800.